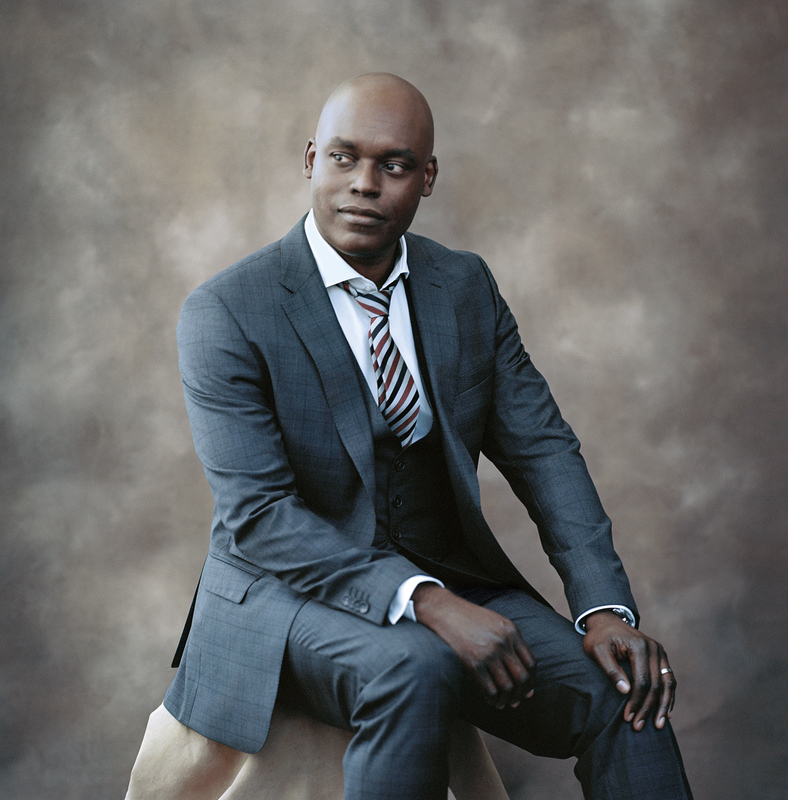 Cameron Bailey, artistic director of TIFF, is the chief orchestrator of the festival. TIFF's artistic director Cameron Bailey. The refugee drama Dheepan met with scattered boos when it snagged the Palme d’Or at the Cannes Film Festival in May. The French film, directed by seasoned auteur Jacques Audiard, follows a former Tamil Tiger migrating to France and finding new challenges in the hostile environment. Critics weren’t exactly on board with it at Cannes, so the jury’s decision to award Dheepan the most coveted prize in art house cinema left many scratching their heads. Not Cameron Bailey, though. Bailey is the artistic director at the Toronto International Film Festival (TIFF, as it’s known to regulars). A perennial discoverer, he has an eye not just for what’s hot but also what’s important. Bailey, 51, was at Cannes scouting films that would cross the pond to be unveiled at his festival’s 40th edition in September. When Dheepan took the festival by storm, he took to Twitter, concisely encapsulating the divide in less than 140 characters. A little over a week after Cannes, Bailey is in Toronto at festival headquarters, the monumental TIFF Bell Lightbox. He swoops into a private lounge tucked in a corner next to the cinemas, fresh from screening a prospective festival film he can’t say anything about. He’s at the stage where planning shifts into high gear as he sifts through international cinema and the Oscar hopefuls eager to bow in his hometown. Bailey breaks from screening and explains that cryptic tweet about identification at the movies. Lamenting how people in positions of critical authority often assume a neutral position, Bailey, formerly a film critic for Toronto’s Now Magazine, declares that there’s no such thing. Everyone brings their personal experience to the table, whether or not they realize it. When Bailey introduced 12 Years a Slave at the TIFF premiere in 2013, he issued a bold and pointed reminder to the audience that his ancestry is connected to the film’s story, as was theirs. Dheepan’s immigration story about the difficulties adapting to a new environment has obvious personal touchstones for Bailey. His parents moved to England from Barbados as young adults. They were part of the post–Second World War mobilization from the British colonies to help rebuild the nation’s infrastructure. Bailey and his older sister, Maxine (who also works at TIFF), were born in London, at a time when racism was par for the course. Bailey was four when he and his sister moved in with their grandparents in Barbados, while his parents sought a more hospitable home in Canada. Those were formative years, where the education based on the British system was advanced but the discipline more rigorous—a ruler to the hand was a common corrective. “It’s not like, ‘How are you feeling,’ ” he recalls, comparing his education to the more emotionally sensitive treatment his six-year-old son enjoys today. At eight, Bailey and his sister moved to Canada. He found his reading and math skills and overall work ethic were superior to his peers, a standard his mother maintained. Their parents had separated, so the siblings joined their mother in a Toronto suburb populated by immigrants from South Asia, the Philippines, and the Middle East. They grew up acutely aware of and sensitive to other cultures, something we see in Bailey’s selections at TIFF. Bailey is the guy who meets with studio heads in L.A. and independent filmmakers in Mumbai. Worldly and easygoing, he’s always representing Toronto abroad at its most idealistic. He is every bit the smooth operator, speaking in a commanding voice that has a musical groove to it. Anyone who has witnessed his charm, humour, and conviction when winning over filmmakers, the media, and audiences won’t be surprised that Bailey was that popular guy at Thornhill Secondary who was cool with all the different cliques. He was, and still is, bookish but also social. Bailey continued exploring and commenting on culture at the University of Western Ontario, where he served as an entertainment editor for The Gazette, writing about the arts with a socio-political bent. He also discovered his passion for film at Western (where he graduated with an honours bachelor of arts in English Language and Literature). He had already been a Spielberg fan from his youth, being of the age to catch Jaws at a drive-in. A course option in contemporary cinema introduced him to the world outside Hollywood and, most importantly, Jean-Luc Godard. From Breathless to Weekend, Bailey realized the political and cultural possibilities on 35 mm, where films become more than just entertainment. A conversation with Cameron Bailey can be friendly and good humoured, but it’s prone to stray from idle chitchat. He’s a passionate culture critic, never shy of controversy and often driven by political or social purpose. You can see his affinity for the cross-section between art and culture today. It’s there in the films he programs (12 Years a Slave, ’71, The Crow’s Egg) and the speeches he delivers, like the one he gave in the spring, called “The Death and Birth of Canadian Culture,” in which he narrated a pivotal collision over citizenship between Stephen Harper and Twitter. That socio-political spirit was ingrained in his work as a film critic for Now Magazine (the left-leaning alt weekly that was home to Bailey’s cultural commentary from 1988 to 2007). When Bailey first applied for the film-writing gig in 1988, all his college paper clippings in hand, Harkness brushed it all off as irrelevant to the real world. Instead, he sent Bailey to review Die Hard. Harkness liked what he read, but there was room for improvement. Bailey’s own concise and satirical writing is still prominent today, whether in TIFF’s program book or on Twitter for his near 35,000 followers. The artistic director, who wholly embraces social media, credits the time he spent at Now dissecting complex art house films in short capsule reviews as training that got him halfway to communicating through 140 characters. Between 1998 and 2002, Bailey co-hosted The Showcase Revue with Valerie Buhagiar, a nightly program on Showcase Television presenting films with a wraparound intro and discussion. On Friday nights, they would show “blue” European cinema. To this day, in different parts of the country, people still walk up to Bailey recounting their fond memories of Showcase Revue. During his stint at Perspective Canada, Bailey was developing his own passion project at TIFF. He encouraged Handling to travel to Africa with him. They attended FESPACO, a film festival in Burkina Faso where African cinema wasn’t marginal but central. Calling that festival “exciting and nourishing,” Bailey brought the experience to Toronto. He introduced the Planet Africa program in 1995, which cultivated an audience for the underrepresented region and threw the hottest party in town, crashed by A-list celebrities. Planet Africa ran until 2005, at which point the training wheels came off and the films from that continent and its diaspora were being represented in the main programs. Likewise, Bailey would graduate from being an off-and-on programmer at TIFF, among so many other things, to one of its main players. At the end of 2007, Bailey published his last film review and delivered a moving, intimate eulogy at John Harkness’s funeral. TIFF’s co-director, alongside CEO Piers Han-dling, was his next gig. In the years since, Bailey has been shaking up the festival, scrapping the idea that the opening night film needed to be homegrown and adding the globetrotting program City to City, which, like Planet Africa, would cultivate an audience for a different region year after year. This year, Bailey will also introduce Platform, a program seeking visionary, international filmmakers who deliver a “true directors’ cinema.” The showcase, complete with a $25,000 prize for the best film, helps bring the attention back to the international cinema that TIFF is about. This arrives after years where Toronto has been characterized in the media as an awards launch pad for Hollywood while engaging in a passive-aggressive competition over premieres with Telluride, a more exclusive film festival in Colorado. While glitzy Hollywood premieres are not what TIFF is all about, the attention those films generate is necessary to keep such a large festival viable. A big movie premiere attracts industry and media, benefitting the hundreds of smaller films at the festival. People who come for Brad Pitt may stay for Philippe Lacôte. Bailey and his team carefully crafted new rules, reserving prime dates (the first four days of the festival) and venues for films enjoying their world premiere or North American premiere at TIFF while refusing to bar films for prior screenings, as Cannes and Venice do. Of course, the artistic director is excited to see how films play at TIFF, regardless of whether they played elsewhere first. A Toronto premiere has always been its own beast, with an audience that will serve up distinct reactions from all those insiders at Cannes, Venice, or Telluride. Dheepan, for instance, will benefit from the large Tamil population in Toronto, who will connect with its intricacies on an intimate level. Bailey says that topical sensitivity, for migration from conflict zones, will extend to the city as a whole. “Whether you are of that background or not, that’s just a part of the character of this city,” says Bailey, saluting how and where Toronto identifies. “I think most of us, if we pay attention, understand the history of how that community developed in this city. Torontonians who are conscious of what this city is will react to Dheepan in a much different way than your average Cannes film festival attendee.” The typical Cannes audience—largely white, as Bailey notes—may not be able to adjust their focal point and shift identification in the same way that minority audiences grow up doing while watching Caucasian characters onscreen. “If you’re an immigrant—not-white, not-European, not from a majority dominant culture—you do that just naturally,” says Bailey. There’s a reason Toronto is such an appealing launch pad, and it has everything to do with the people at the world’s largest public festival. Bailey’s very first initiative as co-director at TIFF was introducing a free public screening of the People’s Choice Award winner. That began in 2008 with a screening of Slumdog Millionaire. Together Bailey and Handling took the stage at the event, thanking filmmakers and audiences before peeling away at their tailored Hugo Boss suits to expose TIFF’s bright green “volunteer” T-shirts hiding beneath. The ritual has become its own boisterous celebration for the locals at the end of the festival, continually recognizing the people who make the festival tick.